He is a Fallen Shaman in charge of the first wave of minions summoned by Baal when at the Throne of Destruction. The most powerful imp found in Diablo II and is regarded as a demi-god amongst the Fallen ranks. Trait, Fallen Ones - Colenzo commands 2 imps. They can be controlled to follow, attack a target, or hold an area. Imps leave a corpse when they die. Imps that die will automatically revive at their corpse location after 8 seconds. As long as they are within Colenzo's range. Imps that cannot be revived will respawn after 20 seconds. Q Fire Ball, CD 6 sec - Launch a projectile that will deal damage and ignite the first enemy target hit. The Ignited target will have a fiery aura that damages nearby enemies for 4 seconds. W Demonic Seal, CD 14 sec - Place a seal on the ground for 9 seconds. Imps that die within the seal will revive 50% faster and trigger a special effect. (chosen at Lvl 4) After Demonic Seal ends, Colenzo's next Fire Ball will deal 10% increased damage for each imp that died within the seal. E Warped Flesh, CD 12 sec - Gain 100% spell armor for 1 second. R1 Death Curse, CD 120 sec - Select a enemy hero and channel for 3 seconds. Once the channel ends, the target will be poisoned equal to 100% of their current health over 6 seconds. Full Party - While at least 2 imps are alive, your imps will have 40% spell armor. Light the Way - If Fire Ball does not hit a target, then it will reveal the area for 2 seconds. Prepared for War - If Warped Flesh does not block any damage, then 200% of the mana cost is refunded. Implosion - When an imp dies on the seal, all enemies on the seal take damage. Blood Transfusion - When an imp dies on the seal, the other imps and Colezo are healed. Second Seal - After Demonic Seal has been active for 3 seconds, the seal will then slow enemies for 20% while on the seal. Vivify - If Warped Flesh absorbs at least 200 damage, then all imps are revived and healed to full health. Flame Acolyte - Fire Ball will ignite your imps that it passes through. 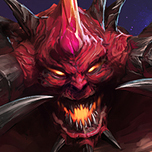 Ignited imps will deal damage to nearby enemies for 3 seconds. Numbers Advantage - Gain 1 additional imp. When commanded to attack hero, they gain a small shield and 25% movement speed for 4 seconds. This can only happen once every 20 seconds. Focus Fire - Hitting an enemy hero with fireball will reduce the cooldown to 4 seconds. Hitting that same hero repeatedly will reduce the cooldown to 2 seconds. Third Seal - After Demonic seal has been active for 6 seconds, the seal will then lower the armor of all enemy heroes by 20% while on the seal. Poisoned Dagger - Basic attacks will poison enemy heroes for 6 seconds. This effect can happen once every 10 seconds. Spite- 25% of all damage absorbed by warped flesh will be dealt to the attackers. Soul Fire - Colenzo gains 25% spell damage while within the Demonic Seal. Helpless - The target has all healing reduced by 50% while poisoned. Warped Ones - Summons two warped imps instead. A warped imps corpse will both explode and revive. Flame Mastery - If Fire Ball hits a target with the last 25% of its travel distance. Then the single target damage will now deal area damage. Igniting all targets hit. I do agree with Bliztron, more focus should be on Colenzo and less on the imps. As such, Revive is now integrated in his trait as a passive. Demonic Seal now interacts with Colenzo at base. And he now has a new E ability called Warped Flesh. While a plain ability at first glance, it does give Colenzo a defensive tool that is appropriate on a demon that has very high magic resistance in Diablo II. With these change, its clear that Colenzo is the star and the imps play a supporting role. The imps have the same control scheme as Misha, and will only move as a group within a leash range. They are intended to be highly disposable. Functioning more as a means for Colenzo to empower his abilities. My intention is that they will be just weak enough that players wont feel the need to directly kill them. Since the bulk of the work should come directly from Colenzo. There are some opportunities for some visual flair. The Fire Ball could be visuals different after it has been empowered. Also, the seal would look like a runic symbol. With each additional seal adding more lines the the rune symbol. Interesting take on a fallen shaman specially one who isn't Bishibosh and i think Colenzo was the only Warped One shaman to exist? either way seems you went out of your way to create a somewhat balanced take on a summoner shaman from D2 specially with that Seal, but for Death Curse how would you sacrifice your imp?. Seems to fit his role as a fallen imp summoner and a Warped One shaman its plain but direct which is good. Seems violent even to his own minions which fits the contest theme very well as a demon and how the Fallen work in both games. 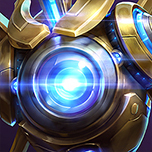 Easy to play and work with as both an ally and a enemy since he has both lane and team fight capabilities, his Death Curse might seem too strong bluntly but with more written detail that fixes it more. Very nice concept and with just more written details like Deaths Curse %s or even how the Fallen Imps corpses act like if they're attackable or not? its good to have some more detail written to help get your point across sometimes. The design is quite nice altogether, introducing a few new mechanics and offering another way to play a summoner. I appreciate the effort to keep the number of summons low, and requiring careful micromanagement of the imps and clever usage of abilities to maximize your effectiveness. I do feel that the kit is a bit barren, with almost everything focused into the imps besides Fireball (more on this in interaction), but the core identity and abilities make up for this enough to bring you to a 5. The talents are, frankly, beautifully set together, with clear and defined build paths arcing through it and full little playstyles being built within. The Seal line in particular was fun to see, and really added to the ability as more than just an area buff for your imps. The heroics are strange, with the first one being brand new in the game (though questionable), and the second being a bit more boring but more like what I would expect to see. The kit’s central focus on the imps is really what pulls it together. While Fireball might seem out of place, it is needed to reign in the focus on the imps enough to keep the focus on Colenzo as the character, a smart choice. The talents work very well together, with each talent presenting new ways to shake up gameplay and add new opportunities for the player to customize their kit for the situation. I like Light the Way a lot. Warped Shamans seems easy to create, but the way the imps are managed are the most important design crux. I think you deftly managed to stitch together a highly thematic design for Colenzo, and the talents all work into the theme you set out quite nicely. Fallen fit into the contest theme. Overall, the kit has fair interaction, with the skillshot components of his Fireball (and how it could then be countering by running out of your team), the long channel delay for Curse of the Fallen, and the zoning game played with Demonic Seal. There is an inherent risk when including summons that it might lower the interaction quite a bit, a fact mentioned time and time again by Blizzard themselves. I think you have done it decently well, but with little information on what the imps actually are, it becomes a bit difficult to judge. Also, by having both your W and E focused on your imps solely before talents, the need for Colenzo to be a main player in the combat is diminished. I think moving Revive to your trait and increasing the cooldown, but adding in a new ability that makes Colenzo more interactive would add to the design. Do Warped ones have a time limit? The kit is put together quite nicely to create a unique play style where you might want your minions to die often. The E is kind of bland, but it enables the hero to be more active and interesting (like you mentioned yourself). 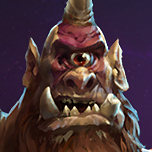 Talents offer interesting builds and most of them are very nice without even offering straight number buffs. At first glance his kit might seem disjoint, it all works together to allow him to send his minions on the offensive, and use his abilities to support them while staying relatively safe (either at a distance with his Q, or getting in there with but being protected his E). Like mentioned before, his talents offer nice build paths and strategies. He's a demon, and he feels like a Fallen shaman archetype by having his minions do most of the work and take most of the risks. He seems pretty balanced, with nothing that can annoy his own team, and good counter play opportunities for each of his abilities. 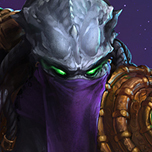 His heroics feel a bit too strong at first glance, though, especially their storm talent upgrades. Still, I guess the long cooldown keeps it from feeling too oppressive or frutrating.